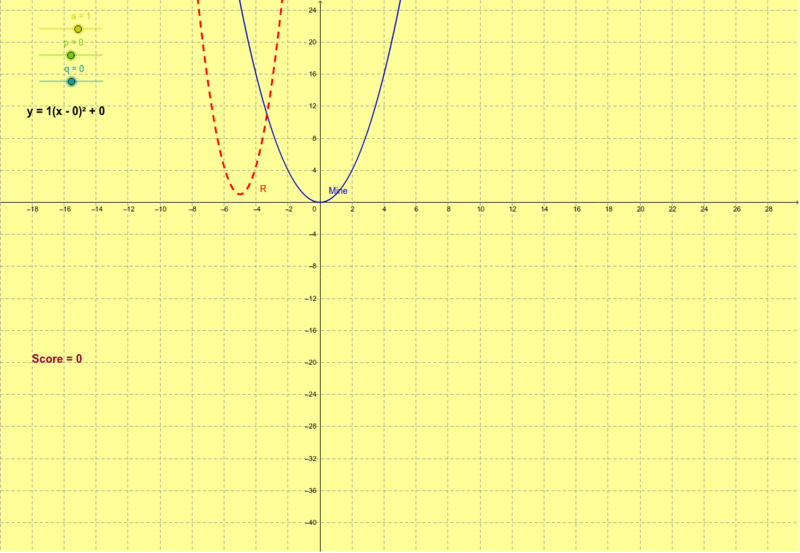 Use the sliders for a, p, and q to match the blue parabola to the random parabola in red. When you have matched the parabola successfully, write down the equation in the proper form on your worksheet. A question slider will allow you to advance to another question. Be sure to get all 10 equations before moving on. Did you find a strategy that helped you get the parabolas matched quickly?